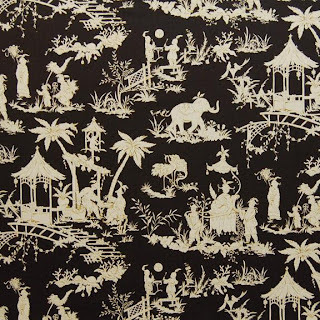 I have already professed my love on this blog for Quadrille's Paradise Background. So, any time I come across something similar whose price tag I can realistically handle, I get excited. 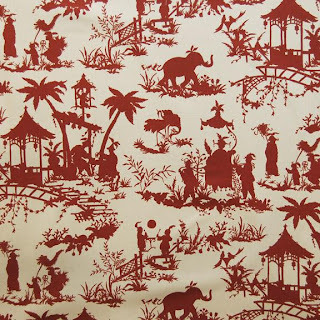 Last week, I found a very fun Chinoiserie toile with that same silhouette nature as PB by manufacturer Greenhouse Design (LOVE Greenhouse Design - great patterns and affordable - my favorite combo) for $20.93/yd. 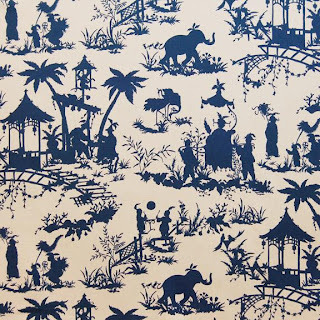 Although these types of toiles are usually whimsical by nature, I find this pattern especially so with its cute elephants and children - perfect for a Chinoiserie nursery . Each colorway has a number, but I don't believe there is a pattern name. Click here for the black version and you'll see the other colors toward the bottom of the page. Love this! My favorite is the blue and white one. I would love to use it on a small loveseat or as accent pillows on a couch! Hi Daniela, I have awarded you "my favorite new blog award". Would love to be able to post it in this message, but I don't know how. :) Go check it out at my site. 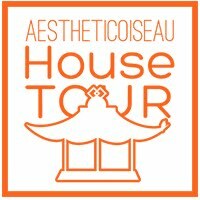 Emile de B, I'll be doing a little research on Jean Baptiste Pillement now - thanks! I have the nicest blog readers :) Thanks for the award Shiny Pebble! Daniela... are you decorating a nursery?! The brown is perfect! 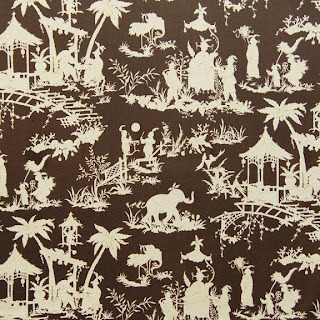 I was looking for a fabric just like this and posted about it yesterday. Check out the Pemberley Style blog. No Alison, but this fabric would be at the top of my list if I was! I saw your post Pemberley - your fabric choices are stunning! Can't wait to see the finished room! I love when toiles have animals !